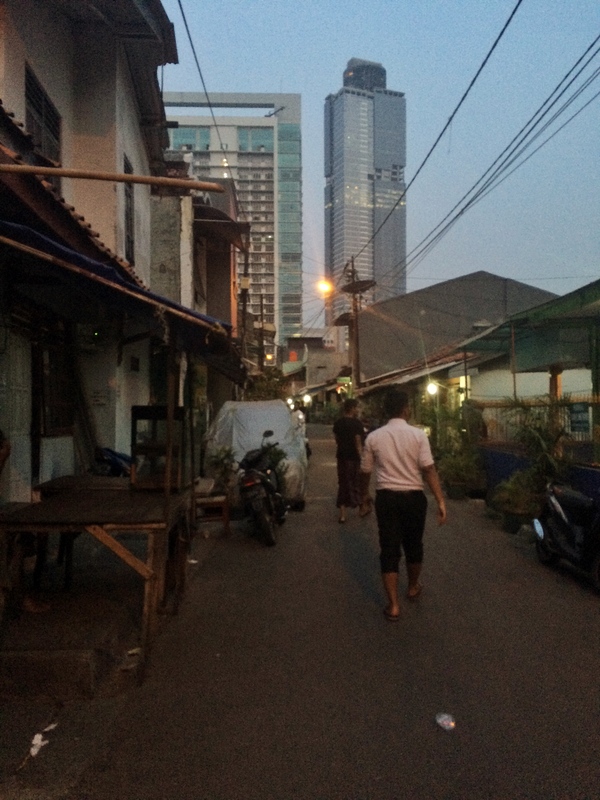 I have been here for a little over two months, and in this time I have gotten to know a bit more about the Indonesian culture, about the people and the way things work around here. Time to review a couple of things that I learned. Disclaimer: This does not apply to all Indonesians and there are of course exceptions. They are so very friendly. Yesterday I was at the food court where I could be considered a regular. After my standard order (nasi goreng) I made some Indonesian small talk with the lady who owns the place (which consists of her talking, me nodding/smiling and giving one-word answers). But because of all the smiling the conversations are actually very pleasant! As she was eating, I was wishing her a good dinner (selamat makan ibu!) and she offered me some of what she was eating. After checking there was no meat or fish, I said okay, and she put some in a plastic bag for me to take home. When my food was ready and I asked how much I had to pay, she just told me the amount for the nasi goreng. She owns a place that sells food, yet she gave me some of her home cooked food for free. And did I mention all the smiling? Like I said: friendly. There is an exception to this (what appears to be a) rule, however. As soon as they get on a motorbike and start participating in the traffic, they become selfish and the friendliness is nowhere to be found. Luckily, you can always use the magical hand, when walking around in the streets. Because nobody would stop at zebra crossings, everyone just crosses anywhere. You get on the street, and put up your hand like you would if you would try to stop a car. Then you just walk. I have done this a lot of times, sometimes without using the magical hand, and I have not been hit. It’s always a bit of a yolo moment, but if you wait until there are no more cars coming before you cross the street, you will be there forever. People in Indonesia can create a job out of anything. There are people on the street, directing the traffic (and trust me, the traffic does not have any use for being directed), they help you find parking spots, they can sell everything on the street. An example: in the office where I work, there is this guy that comes to visit almost every day to sell us some gorengan (fried stuff). 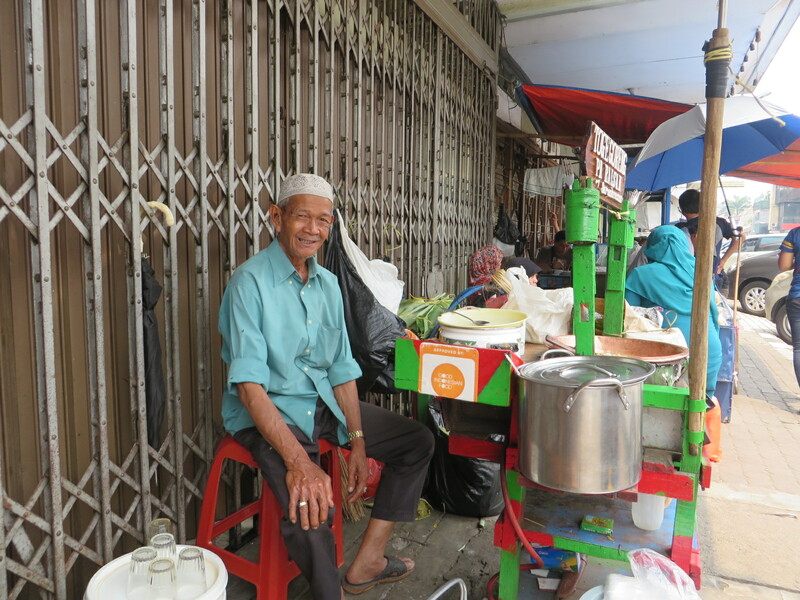 He just goes by the office to sell some of his home made food, and makes a ton of money (and a ton is actually not a lot in Indonesia). 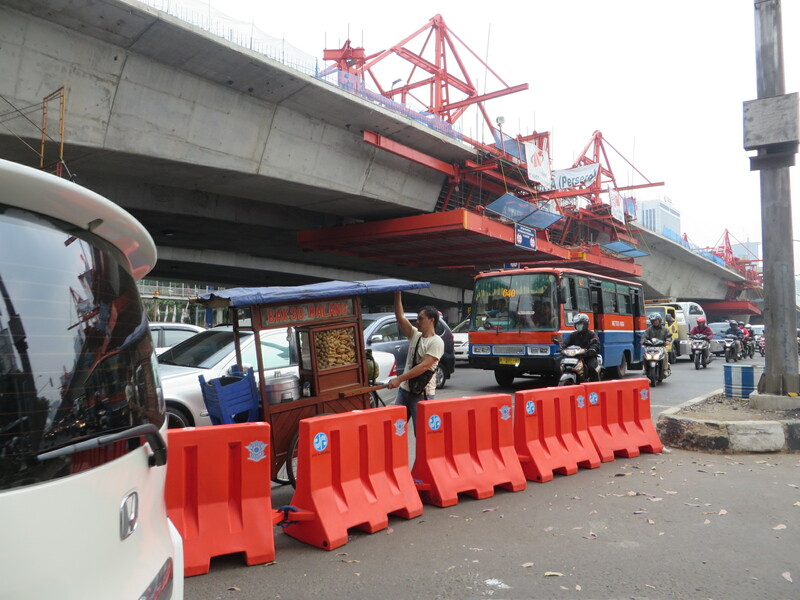 An even better example: there are a few roads in Jakarta that can only be used if there are three or more people (tiga orang atau lebih) in the car (see picture above). This is supposed to make the road less crowded, allowing people who carpool to pass quicker. 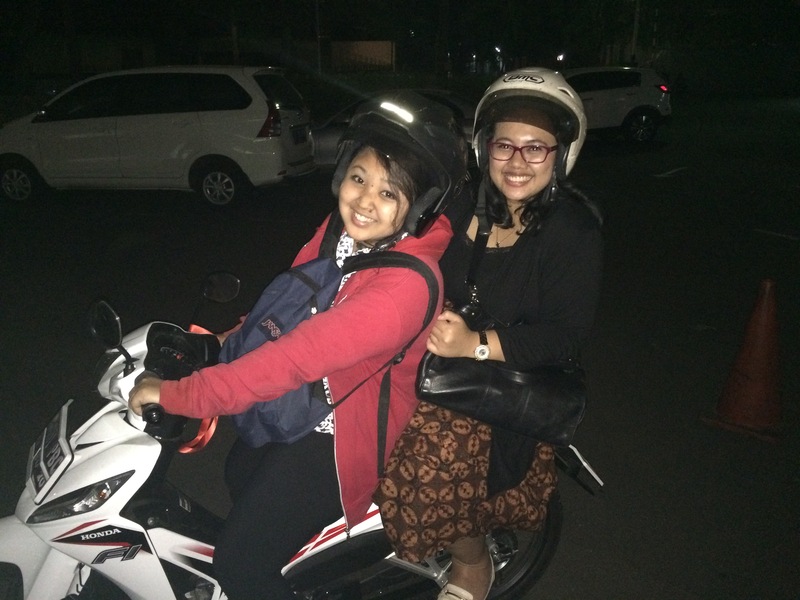 However, before you reach these roads, along the side of the road you will find a lot of people, who you can pay a few rupiah to hop into your car, and they will get out after the road ends. This way, even if you are just one, you can pay some people to be your fake companions and still use this road! e, because it is supposed to be cost-effective. Here, they need the jobs. And I am guessing the wages aren’t that high, so possibly it is even cheaper. 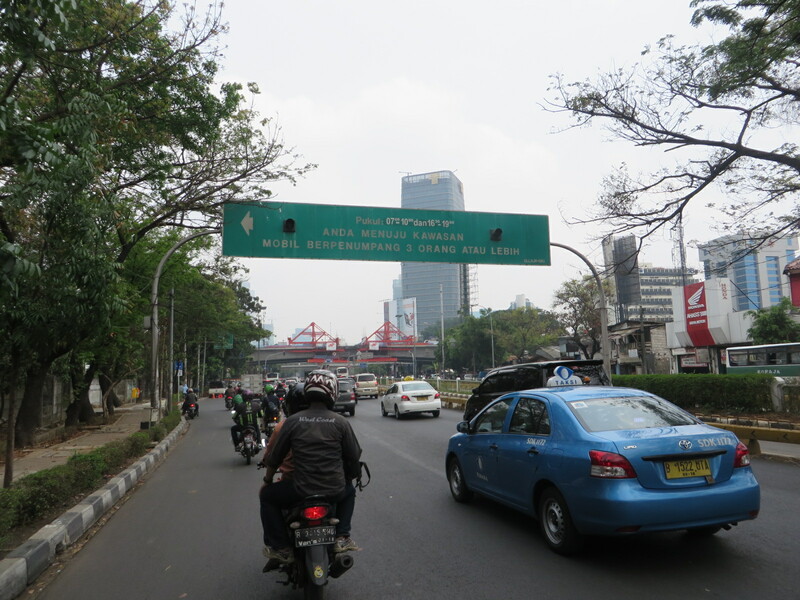 Indonesian people are very proud of their country, even though there is also usually something to complain about. They want to tell me everything and most of them know all about their own history and the current events. As a person who chooses not to read the news paper, I noticed this immediately. They know where everything comes from. They have so many provinces and every place has their own signature dish, a dance (or several), songs, clothes, houses… It almost seems too much to remember, and yet… they all know. Another thing… even though they can at times be more polite than direct, often I find them very honest. If you ask them what they are doing this weekend, it is not uncommon to hear someone shamelessly admit that they will sleep all weekend. While in Europe, if you don’t have exciting plans, parties to visit or people to meet, well… let’s just say you are not the definition of cool. The people I have met also sing. Just because they are happy, or because they can. I have looked up with some confusion when I would hear somebody singing out loud in The Netherlands, but here it is very common. And not just when under influence. And it doesn’t matter what you sing, either. I have heard somebody sing “I like big butts” with a straight face and an angelic voice. Most of the people living here don’t seem to have an environmental bone in their body. When driving on the street, if there is something in the car that you don’t need anymore… No worries. Just throw it out the window! But also, if you are not in a car and just walking around, you can also still toss it. There is a lot of trash everywhere. Plastic is used for everything. I have a huge collection of plastic bags in my drawer which I try to re-use as trash bags, but even I have had to throw some away (not on the street, mind you). 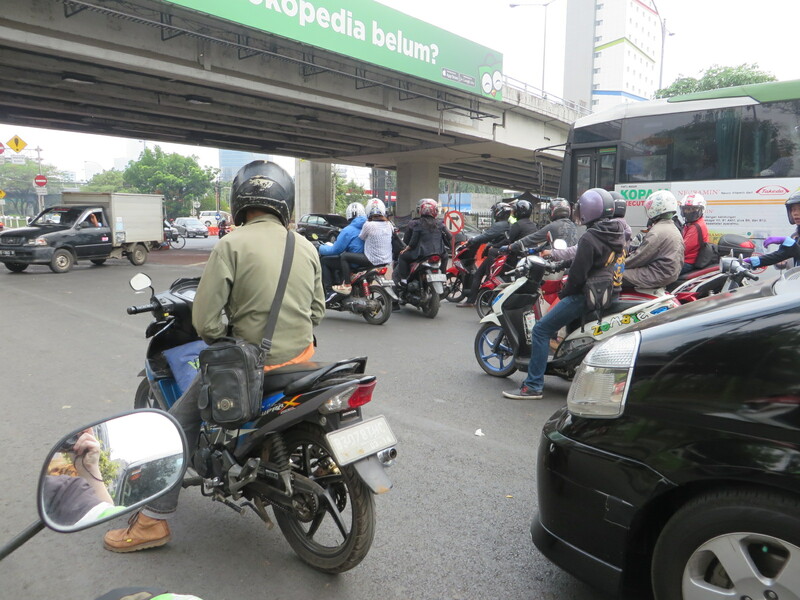 Finally, I noticed that nobody does organized chaos better than Indonesians. The traffic jams look like they will never ever get solved, but somehow they do. In the foodcourts everybody is shouting at each other, ordering from different people… And yet it works. You get your food, there is hardly any trouble and the hardworking peo ple get payed. This seems to be the way things work here. From the outside, it looks like chaos. But there is certainly a system in place. Just because we don’t see it, doesn’t mean it isn’t there.